Orlando: It's not just for kids !! As the home of Mickey Mouse and Harry Potter, there's no doubt that Orlando is tops when it comes to family vacations. But when it comes to U.S. tourists, only 28 percent of travel parties to the Orlando area are families with children, according to the visitors' bureau. The largest group — at 40 percent — consists of parties made up of two adults. And though many grown-ups still hit the theme parks without children, they're also tapping activities such as shopping, dining, golfing and more. 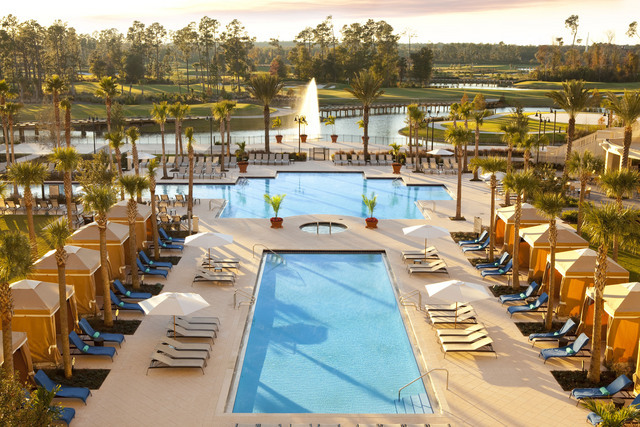 At Grande Lakes Orlando, which includes the upscale JW Marriott and Ritz-Carlton hotels, eco-tours, kayaking and fly-fishing are popular among the adult set. The resort also features an adults-only lap pool at its spa as an alternative to the resort's lazy river, which might be loaded with children. 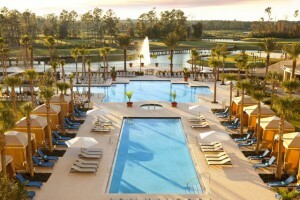 "It's hard to escape families when you're in Orlando, even at our hotel," said Jim Burns, the resort's managing director. Even though adults make up a large part of the visitor base, Orlando's visitors' bureau still directs much of its attention to marketing to families. They tend to stay longer and spend more per party than adults without kids. And with theme parks catering to children on every corner, it's easier to convince families that Orlando is the place for them and what would be better than an Orlando vacation rental home instead of a hotel. "With limited dollars, you have to go for that market that is aligned with the destination … and that we feel we can expand," said Danielle Courtenay, chief marketing officer of Visit Orlando. And when you drill down into the visitor statistics to the groups that Visit Orlando really covets — such as overnight travelers and out-of-state visitors — families do become more prevalent. "The more you narrow that down … the percent with kids goes up and up," said Daryl Cronk, director of research for Visit Orlando. Carolyn Moncada, president of the Central Florida Concierge Association, said she sees a large number of guests without children at the Waldorf Astoria Orlando. She likes to recommend Park Avenue in Winter Park, Leu Gardens, Bok Tower and Celebration as "must-sees" for them. "These guests are also usually interested in local independent restaurants and cultural events," she said. For adult travelers, the theme parks have managed to add appeal with special festivals such as Halloween Horror Nights at Universal Orlando and Epcot's Food & Wine Festival. 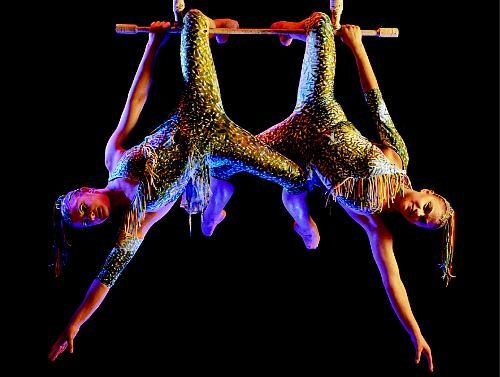 Attractions such as Cirque du Soleil and House of Blues at Downtown Disney are also good options for adults, said Adam Borgos, general manager of Michael's VIPs, a travel and tour agency. Universal Orlando and Islands of Adventure are particularly geared for adults, he added. "A lot of their most popular rides have a 54-inch height requirement," Borgos said. "You're not catering to 5- and 8-year-olds at that point." Even at Walt Disney World — where it's a small world, after all — a few places are free of pint-size visitors. Victoria & Albert's, the high-end restaurant at the Grand Floridian Resort, does not allow children younger than 10. And at Disney's BoardWalk, Jellyrolls piano bar and Atlantic Dance Hall are limited to adults 21 and older. And though they aren't banned, children are less common at Walt Disney World's high-end restaurants such as Jiko at Animal Kingdom Lodge and Bistro de Paris in Epcot. Of course, nothing is stopping adults from tapping their childish side in Orlando, Borgos said. "Disney's a weird place because adults show up and act like little kids," he said. "It's kind of the only place you can get away with it."